​Ever since I lost my unlimited data plan with AT&T years ago (when I upgraded to the iPhone 4 I think?) I have been forced to care about data usage because…you know…it costs money now. I know there are all-you-can-eat voice/text/data plans out there from pre-paid carriers but those phones have S-L-O-W connections and I think everyone knows that. If everything is unlimited, the quality has to be lower. I have figured out a hack that keeps me on fast data AND saves money. It’s an app called Onavo Extend. Onavo was a data analytics company that was so dominant in their field that Facebook acquired them. So now you can get more data out of your data plan, courtesy of Facebook. Images consume a lot of your data, so the biggest data savings come from images. If you use the web a lot on your phone it can be a big savings and if you mostly stream music it won’t be as big. The app runs in the background and compresses images according to your settings. 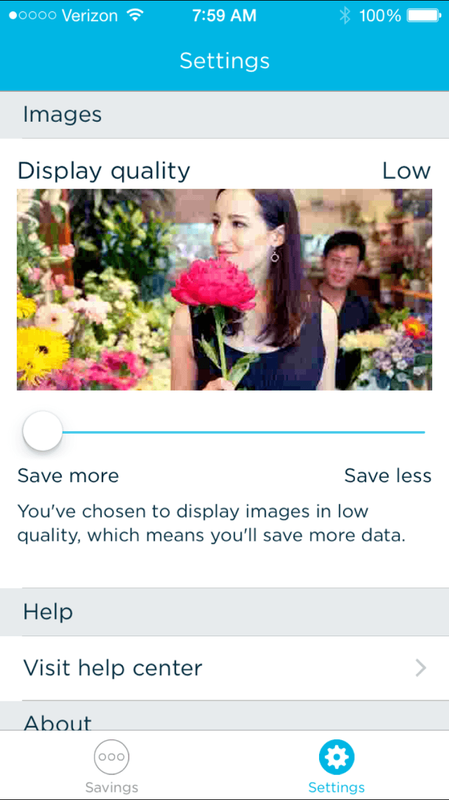 So to some extent, the more you want to save, the lower the resolution of images. Can I tell the difference? Yep. Do I care? Nope. For me that's a no-brainer way to save money. The other useful feature is that it tells you how much data each app is consuming, so if one of the apps you keep open all the time is a data hog you can close it out. That seems to be pretty common these days because of all the advertising in apps. Facebook wants you to use their app as much as possible and look at as many of their ads as possible, so Onavo is free to download. I’d recommend you give it a try and see if you can save some cash on images you never look at anyway.